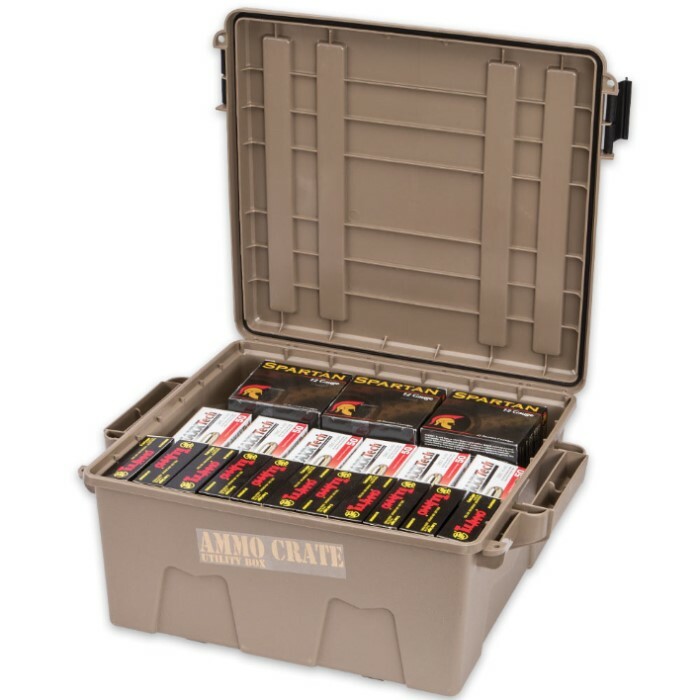 Ammo Crate 19" x 15 3/4" x 8" | BUDK.com - Knives & Swords At The Lowest Prices! 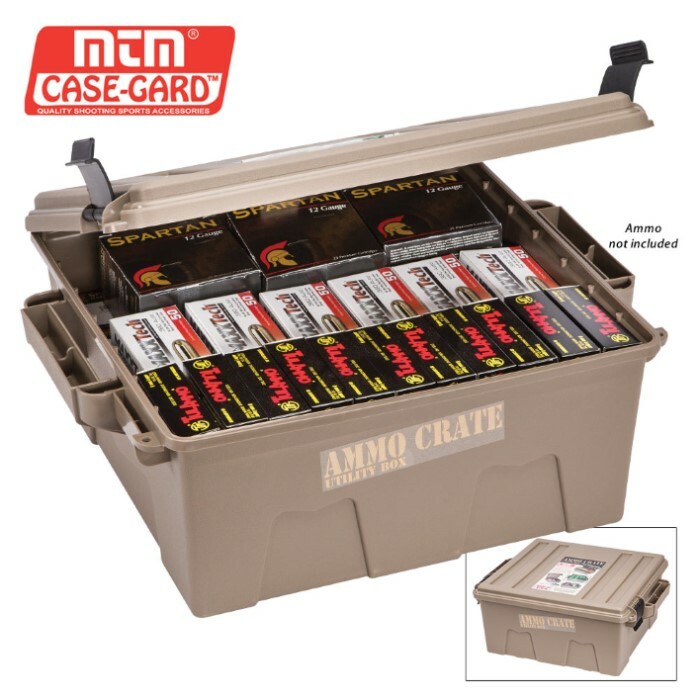 Dimensions: 19" x 15 3/4" x 8"
MTM Ammo crates are the perfect storage solution for a variety of storage needs including shooting, hunting or survival gear, as well as, ammunition. One of the features that makes them exceptional is the tongue and groove O-Ring seal system for a superior water-resistant dry storage. 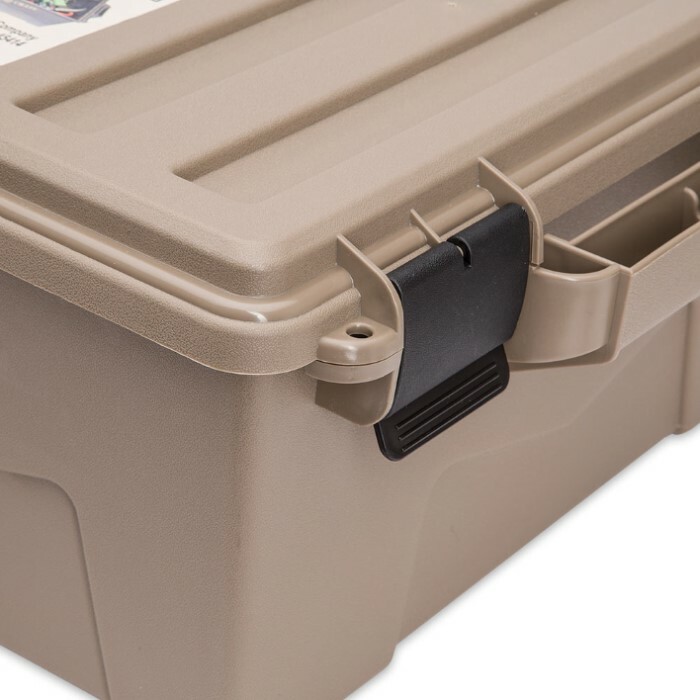 These crates are constructed of high-impact polypropylene plastic and have two extra strong handles that make it easy to carry 85 pounds of gear. They are designed to be stacked high, using molded-in stacking ridges. They also have four tie down points for ATV attachment and feature double padlock tabs along with two strong latches. Great price for an awesome product! I use it to keep my E&E kit safe and dry in my truck!